have already registered can apply through their Profile. Masters Degree in Chemistry with not less than 50% marks awarded by any of the Universities in Kerala or a qualification recognised as equivalent thereto in the respective subject by a University in Kerala. II 1) B.Ed Degree in the concerned subject acquired after a regular course of study from any of the Universities in Kerala or a qualification recognized as equivalent thereto by a University in Kerala. 2) In the absence of persons with B.Ed. Degree in the concerned subject,B.Ed.Degree acquired after a regular course of study in the concerned faculty as specified in the Acts and Statutes of any of the universities in Kerala. 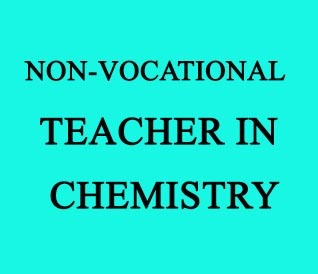 Teacher conducted by Government of Kerala or by the Agency authorized by the State Government.